Kudi.Exchange — “Coinbase + Venmo” for Emerging Markets — Live in Beta! We are pleased to announce that Ferrum Network’s first product — Kudi.Exchange — is now live in beta testing with over 400 users in the pilot and 2500 more signed up! This is big news for Ferrum Network because we built and launched a world-class exchange and payments product on a seed budget. But it is even bigger news for the people of West Africa who for the time first time can purchase a U.S. Dollar backed stable coin with fiat and send fiat currency peer-to-peer instantly with no third-party intermediaries. We are proud to introduce Kudi.Exchange — A Digital Currency Exchange + Peer-to-Peer Payments App with U.S. Dollar Stability. What is Kudi.Exchange? It is a fiat-to-crypto exchange + mobile payments app based in Nigeria that runs on top of our network. With Kudi, users can buy digital assets directly with fiat. It is the fastest, lowest cost and most advanced digital currency exchange in Nigeria. Why Nigeria? Nigeria is a massive crypto market. It has the 7th highest BTC volumes in the world, 1st in Africa, highest Google searches in Africa for “bitcoin”, a population of 200 million with 50% under the age of 35, and an existing financial system that is ripe for disruption. Competing exchanges that offer far less regularly achieve $5 million USD in monthly volumes. With such a large market with low incumbent competition, we look forward to offering this product to millions of customers. How do we achieve millisecond transactions at lower cost than our competitors? Simple — the backend of Kudi.Exchange is running on the Ferrum Network — a high-speed interoperability designed for low cost financial applications. This means users can buy/sell/send digital assets faster and for less network fees than other exchanges. Like many emerging markets, the demand for U.S. Dollars in Nigeria is high, but physical dollars are difficult and costly to obtain. Now for the first time, Nigerians can access digital U.S. Dollars through an app. They can rest assured those assets are backed by a fully-regulated trust company, Gemini. Our market tests indicate that demand for a U.S. Dollar stable coin is incredibly high, and we are proud to offer our customers easy access to this critical safe haven asset. Perhaps the most exciting aspect of Kudi has nothing to do with cryptocurrencies. Remember — the market for people who deal only in fiat is far larger than those interested in digital currencies. Therefore, Kudi also functions as a peer-to-peer mobile payments app for instant fiat money transactions. Our customers can now send Niara to each other instantly with no banking intermediaries at a fraction of the cost of a traditional bank app. How is this possible? The Kudi.Exchange mobile wallet also doubles as a payments app. Users simply deposit their Niara into the app, enter the address of the recipient, and “send”. Customers can also send money to non-customers through their phone number or What’s App number, and the recipient will be prompted to download the app to receive the money. Since this all runs on Ferrum Network tech, the Niara is transferred in milliseconds, and it never goes through a third-party. Normal banking apps in Nigeria can take up to 24 hours to send money, and charge fees on everything from minuscule transactions to using cellular data! With Kudi, users can now send Niara instantly peer-to-peer at a fraction of the cost. We are now talking to merchants who are interested in using this app to replace costly point-of-sale system, and who want to incorporate a fast, cheap, mobile payment solution. What does all of this mean for token holders? Well for now the exchange is running on a limited private mainnet. But when the full mainnet goes live in a few months, users will be spending FRM tokens for every transaction. Remember: every transaction that runs on the Ferrum Network burns FRM tokens. With thousands of Nigerians sending Niara to each other, and buying/selling digital currencies, this will have an immediate positive impact on the Ferrum Network ecosystem. In other words, Ferrum Network will be the first project with users, daily transactions and network utility on day 1 of main net launch. Finally, the best part is that this solution is not limited to one country. The technology is designed to replicated. We can easily import this solution to other emerging markets, and partner with existing exchanges who want to incorporate a U.S. Dollar stable coin and instant peer-to-peer fiat payments. And since it all runs on the Ferrum Network, the more we expand, the more it benefits the ecosystem. 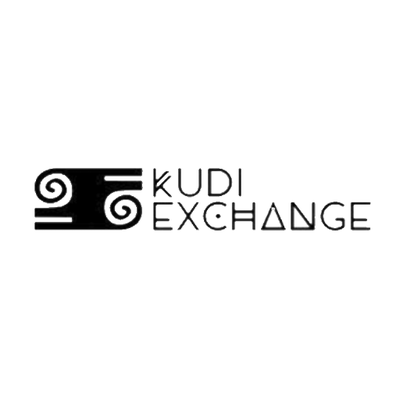 We want to thank TLG Ventures for being the driving force behind Kudi.Exchange. We also want to thanks all of our pilot users who are making sure the product is as great as it can be — you know who you are. Finally, we want to thank the Ferrum Network community for sticking with us since the early days. We could not have done this without you. Since Kudi is still in the pilot, we will be sending weekly traction updates on our progress. You’ll also get updates on specific aspects of Kudi, including our user acquisition strategy, and expansion into other countries and other services (e.g. merchant point of sale). Of course all of this is leading up to a token sale (details to be released soon) so YOU can get involved in Ferrum Network!